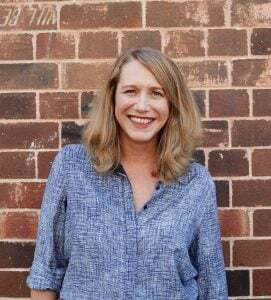 Holly Wainwright is a former-Mancunian Sydneysider who came to Australia as a footloose traveller more than 20 years ago. Since then, Holly has had a long career as a journalist and editor, originally in travel and celebrity magazines and now online. She’s been working in digital media for three years, most recently as Head of Content at Mamamia. She hosts two podcasts: This Glorious Mess and Mamamia Out Loud, has two small children, lives by the ocean and wishes there were four more hours in every day. How ‘Well’ are you right now? Let’s take a quick quiz. Have you ever taken a photograph of your breakfast? Do you know what an acai bowl is? Have you given up grains? Does your morning yoga class only count if you post about it on Instagram the moment it’s finished, along with hashtags #namaste #sograteful? If you answered no to any of those questions then sorry, you’re not Well at all. Because Wellness, as promoted by the ‘influencers’ flooding your feed – and inhabiting my new novel, How To Be Perfect – is all about performance. Who cares how good you feel if no-one can see it on the outside? What does a squeaky-clean colon and a clear, sparkly eye matter if someone else isn’t coveting it? Someone like the rest of us, who are always feeling a little sub-par, a little green around the gills, a little like we woke up already tired. Someone who wonders if it’s true that a glug of the potion made from pond algae they saw in the ‘Health Food’ aisle might be the secret to bounding out of bed with unbridled delight. For the bargain price of $69.95. Someone who’s been trying pilates for a while now but keeps bumping into their own stomach. Someone who can’t help but wonder if their relationship might be more fulfilling if only they were sufficiently hydrated. I have a guilty secret, and I know I’m not alone. My life is a mess. A hot mess, sure, but a mess all the same. My home is almost always knee-deep in rogue Lego pieces and a million small blank pieces of paper with one, possibly meaningful squiggle in the middle and a promise that Mummy will forever keep it close to her heart. I’m late pretty much all the time, and the kids have found out about the tooth fairy, and the washing basket seems to magically refill on the hour and my partner and I talk about the children’s schedules with a similar passion we used to reserve for breathless take-downs of a Spike Jonze film. I can never find anything, ever, and there’s never enough room. I’m always out of bread on a school-day morning as the sandwich box beckons. My kids are regularly the last ones to be collected from the school playground. I forget birthday presents, and to prepare for important meetings. On a Friday night at “mum drinks”, I often end up telling strangers way too much about my life. I never seem to have cash in my wallet. Frequently pasta seems like the only answer. To everything. Scrolling through images of pristine lunch-boxes and organised children’s bedrooms, with absolutely no drawings on the walls. Scrolling through 25-ingredient breakfast smoothies, and slates bearing leafy native salads and brownies made from beetroot and the tears of gluten-tolerant fairies. Scrolling through pictures of other people’s perfect tousle-haired children and minimalist living rooms and enviro-savvy gardens and self-made decks and – my very favourite – epically photogenic weekend farms in anywhere that can be called a “hinterland”. I am not alone in my addiction to the images of wellness. The wellness “industry” is guessed to be worth 3.72 trillion dollars worldwide. I apologise, another shortcoming. I don’t know how one writes a trillion, but what I do know is that a large proportion of those trillions were spent by people who have no intention to do anything that might actually cause “wellness”. They were bought by people who want a quick fix for their messy lives. Maybe, if I just stayed paleo for longer than three hours every Monday morning, I would look like Michelle Williams and all my problems will evaporate. Perhaps, if I buy that baby-bag that protects me and my family from the harmful zaps of our mobile phones, everything will be okay. Certainly, if I lost 5 pounds, went to sunrise yoga every day and kicked quinoa, my life would be in order and that pile of mail next to the toaster would open and file itself. That’s the world of my new novel How To Be Perfect. The dubious goddess and the vulnerable young mother who’s hoovering up hope that disgraced blogger Elle Campbell actually has all the answers. It’s a fun world to visit, one of fake gurus and smoothies made of lawn-clippings and health retreats with resident drug-dealers and of beautiful people doing ugly things to convince you to part with a dollar (or several hundred). It’s a sick sort of wellness. One that I – and you – should know better than to aspire to. But still, when all the floor is jagged Lego, a crocodile can look like a life raft. Good luck out there. I’ll see you in the Paleo aisle. 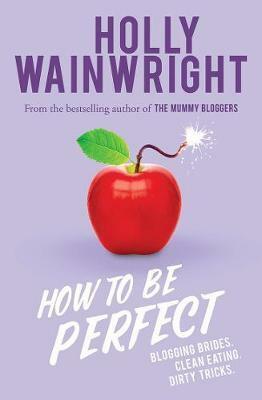 How To Be Perfect is published by Allen & Unwin and it’s out now.